Book your date ASAP….and get next month off to a great sales start…because that’s how quickly you’ll see improvements if you use the sales skills, techniques and insights you’ll learn during the course. Did you know that according to CSOInsights, 54% of sales professionals will NOT hit their sales targets this year? How many of your sales team won’t hit their targets? More than 54%? Less than that? What’s the Gap Costing You? I’m talking about the revenue, profit and market share gap between the sales revenues your sales team should be hitting and where your sales guys are currently landing. That Gap…what’s it costing you? What’s it cost you in the last three years? What’s it going to cost you in the next three years if you don’t do something about it? Either way…it’s costing you something. And, even worse, your competitors are benefiting from your gap! The Fixed Price B2B Sales Training Course will help you close that gap. Stop the sales leaks and give you a solid sales pipeline BECAUSE, here’s how I look at it. If that’s the sort of business proposition that appeals to you, then let’s start talking. We can talk about how your sales team are currently performing and what you’d like to improve that over the next few weeks. The B2B sales training course is delivered on a ‘sales tool-kit’ format breaking down all of the components of a great sales call and understanding their relationship with sales success. Each module in the course is based on the very best sales methods available today based on the most up to date research about buyer behaviours. Attendees will leave understanding what great sales looks like from the sales and buyer perspective. High impact, highly interactive, practical and results driven B2B sales training for all levels and experiences. The Fixed Price Sales Training Course – Selling Vs Buying – B2B Sales Training Courses that make a difference! The fact of the matter is that sales is a fluid industry. Buyers are now setting the sales agenda much more than every before. That can seriously damage and challenge some sales people. Hence the reason why more sales people typically fail to hit sales target than actually hit it. Over the last 4 years I’ve been studying key reasons for failure or under performance in the sales team, here’s what I’ve found. Our B2B sales training courses, as well as our comprehensive range of business development training courses, are designed specifically to address all of these issues. Smart Sales Closing because working hard and not getting the business is just a crime. Creating Ongoing Sales and Business Development Leads because that’s just plain SMART! Don’t think this is some out the box course. Your fixed price sales training package will focus on your key sales drivers relating sales activity to enhanced sales results. Prior to the course, we explore your key sales issues. That way you know the training focus is geared to have the maximum positive impact. Your fixed price sales training package has you covered. Recent attendees give their feedback in ‘Client’s View’ section which you’ll find at the top of the page. For all your internal B2B Sales Training Courses you can also register to receive your free copy of The Advanced Business Achiever , it’s delivered weekly. Totally free to your inbox and covers Sales and Business Development Insights to help you boost and improve your sales performance. 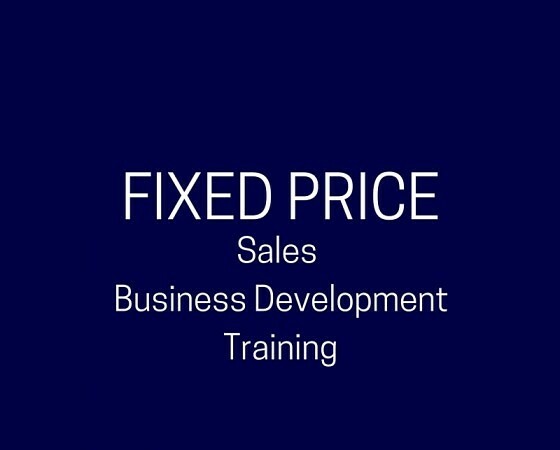 Call to discuss our extensive range of business development training courses, or book your fixed price sales training courses today and see what your sales team is REALLY capable of. This entry was posted in Blog, Lead Generation, Profit Creation, Sales Funnel Creation, Sales Pipeline Management, Sales Strategy, Sales Training, Selling and tagged Advanced Selling, Appointment Setting, B2B Sales Training Courses, Business Development Skills, Business Development Training Course, Business Development Training Courses, Closing, Filling the Sales Funnel, Filling the Sales Pipeline, Handling Sales Objections, Lead Generation, Sales, Sales Skills, Sales Training, Sales Training Course, Solution Selling. Bookmark the permalink. Pingback: What is a Sales Close? A Sign Your Sales Call Structure Might Need Work!